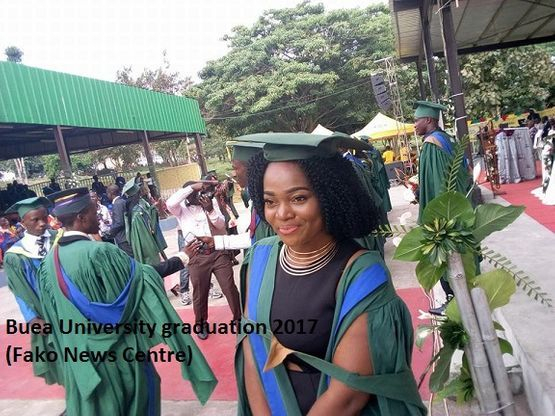 Statistically, the number of graduands for the 2016/2017 school year dropped considerably compared to previous years. 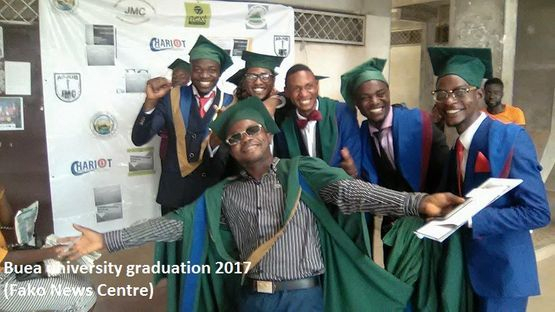 The students who went through this school year met with a lot of challenges given the socio-political atmosphere affecting the two Anglophone regions of the country. Schools in these regions have not been effective since November 2016 when the Cameroon Anglophone crisis started, leading to the closure of many schools. Also, the population that came to witness the graduation was no way near that of previous years when Buea used to vibrate starting from the week leading to graduation day itself. Presenting the discourse during the ceremony was the Moderator of the Presbyterian Church in Cameroon, Rev. Samuel Fonki. He focused on encouraging the graduating students to always have hopes even in the most difficult situation. He pointed out the breakthroughs in live occur from difficult situations. The spiritual leader also enjoined the graduands to avoid complaining of not having an enabling environment to succeed. They should make the environment enabling if they want to emerge, he added. Worth mentioning is the fact that the Faculty of Science graduated 16 PhDs, Faculty of Education, 10 PhDs, and the Faculty of Arts, 3 PhDs.